. كما يقدم Gwendoline Court Motel الكثير من الخدمات لإغناء رحلتك في روتوروا. تتضمن الميزات الرئيسية في هذا الفندق: تسجيل وصول/خروج سريع, تخزين الأمتعة, صف السيارات, خدمة الغرف, مرافق للشواء. في Gwendoline Court Motel غرف نوم يزيد عددها عن 18 صممت بذوق وعناية لتوفر لك كل وسائل الراحة . بعضها يحتوي أضاً على غرفة معيشة منفصلة, تلفزيون بشاشة مسطحة, اتصال لاسلكي بالإنترنت, اتصال لاسلكي بشبكة الإنترنت (مجاني), حوض الاسترخاء. إن مركز للياقة البدنية, مسار جولف - ضمن 3 كم, حمام سباحة خارجي, ملعب تنس هو المكان الأمثل في الفندق للاسترخاء وتفريغ طاقتك بعد نهار طويل. إن Gwendoline Court Motel هو خيار ذكي بالنسبة للمسافرين إلى روتوروا، بما يوفره من إقامة هادئة ومرحة. Booked this motel with the understanding it was a 3.5 star (source agoda). Upon arrival the receptionist insisted to pay there and then. We looked at unit and found it terrible with mould, old furniture, roof in spa room falling down, holes in walls and generally run down, and I mean RUN DOWN. They then proceeded to tell me with won't be getting our money back as it was only a 2.2 star and what do we expect?. I'm now in negotiations with agoda. We enjoyed our stay here. The staff were very friendly and the location was great! We were group of 8 people, and took 2 condos. Rooms are enough clean but really to be renewed. Kitchen has many equipment and useful to make light meals. Mezzanine are very big ann can get 2 double bed... Good parking car just front the condo. Place a little bit far from downtown but with car is easy. Wifi is fine but it is cut in Sunday?... Staff is nice and helpful. We spent 3 night in weekend and were satisfied of this motel. This is definitely not a 4 star hotel. The unit while a nice size was extremely shabby with threadbare carpets. The unit was not particularly clean & the carpet in the lounge area was filthy with spills all over it. 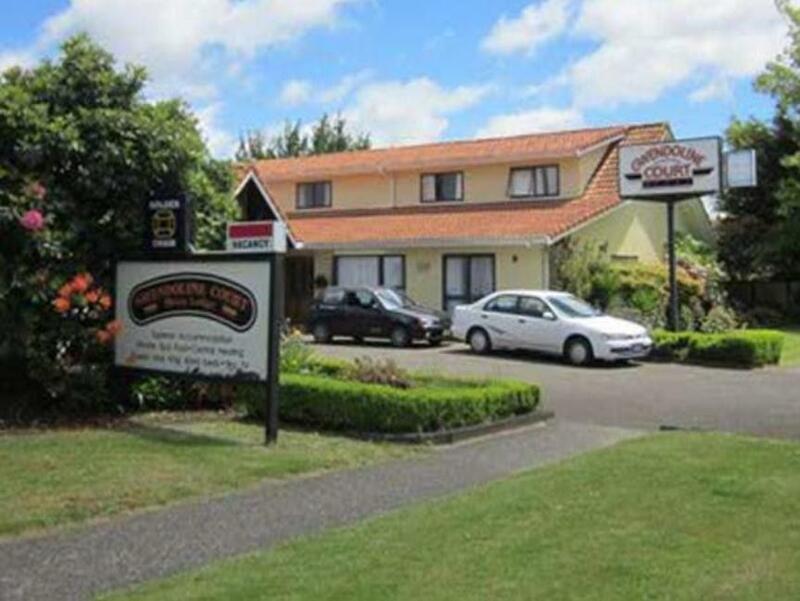 I would say that this was the shabbiest motel we stayed in during the 3 months we have been travelling in New Zealand. told receptionist that we had 2 bedroom Studio room. She gave us 2 separate houses. At the end of our 3 day stay, upon check-in out, she told us we needed to pay extra because of booking error. Never once did the motel leave us a note. location is great. value for money. decent roof over heads. Great. Able to sleep soundly at night. Peaceful. Had to ask for such things as teaspoons saucepans etc. No information in hotel room about Rotorua dining check out times. Absolutely nothing. Reception appeared too busy to talk. Here's you key, rooms over there. No explanation about any facilities such as wifi etc. etc. Needs a bit of an upgrade. Don't expect too much and you'll be happy with the Gwendoline. The rooms are very large and the heating is excellent. 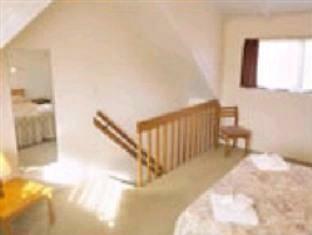 Bedroom is upstairs with living area downstairs and a large bathroom also downstairs. Furniture, carpets, appliances are all old but clean and the linen towels were replaced daily. I enjoyed my stay in the knowledge of how much money I had saved by not worrying about fancy accommodation. We had a good fun family time. The rooms were spacious we wanted to stay some more!! Awesome!! very budget, cheap, a bit old. I am not going to stay there again. Location is good, close to Polinesian Spas. Actually, the motel required renovation, especially inside the rooms. Staff is friendly.We like Rotorua itself, very clean and friendly city. Rather disappointed with the spa suite we were given. Hardly any basic kitchen utensil in the kitchen and hot plate is in bad condition.One of the hot plate is removed, leaving a big hole and only 1 hot plate is working, even with this hot plate, we had difficulty operating the switch.The spa room has filthy floor and ceiling. Look as if it has not been used for a while.Window sill in the upstair bedroom has puffed up due to moisture/rain. this motel has advertised that it's self-contained with full kitchen facility.